It's a pretty yellow with a touch of orange. It may be prone to crystallise on the nib, although it can be wiped away easily. All photos are colour corrected with a grey card. Thanks for this nice review, LG. Looks good on the Maruman but on the copy paper it looks like MB Golden Yellow, i.e. orange - good old Indian Yellow. LG, I love your reviews and your doodles. The doodles are inspired by yours! I have another red doodle. You'll love it. I'll post it with my upcoming Montblanc Shakespeare and Blackstone Uluru Red reviews. 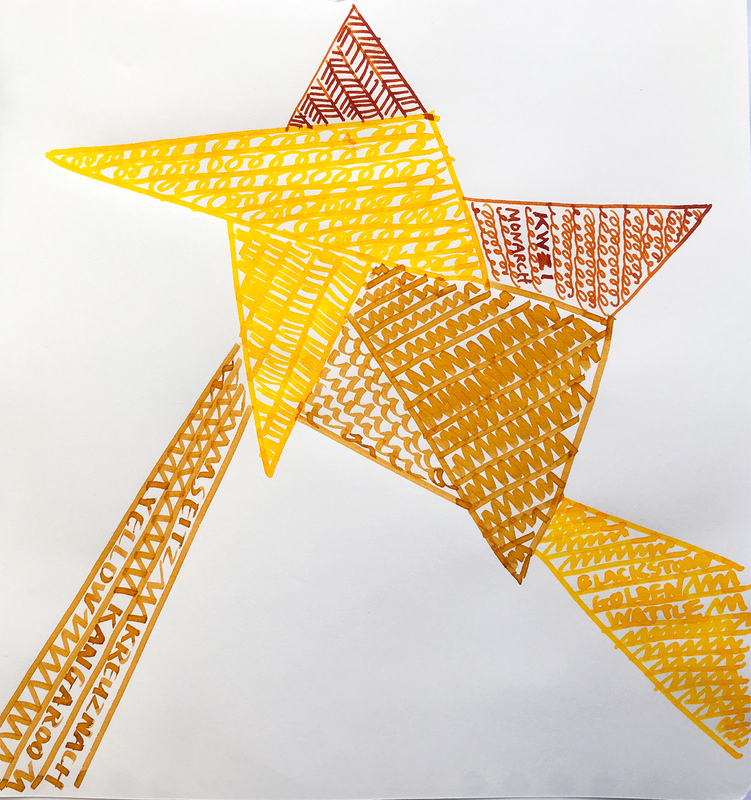 Can someone explain why it seems that yellow inks form crystals on nibs? 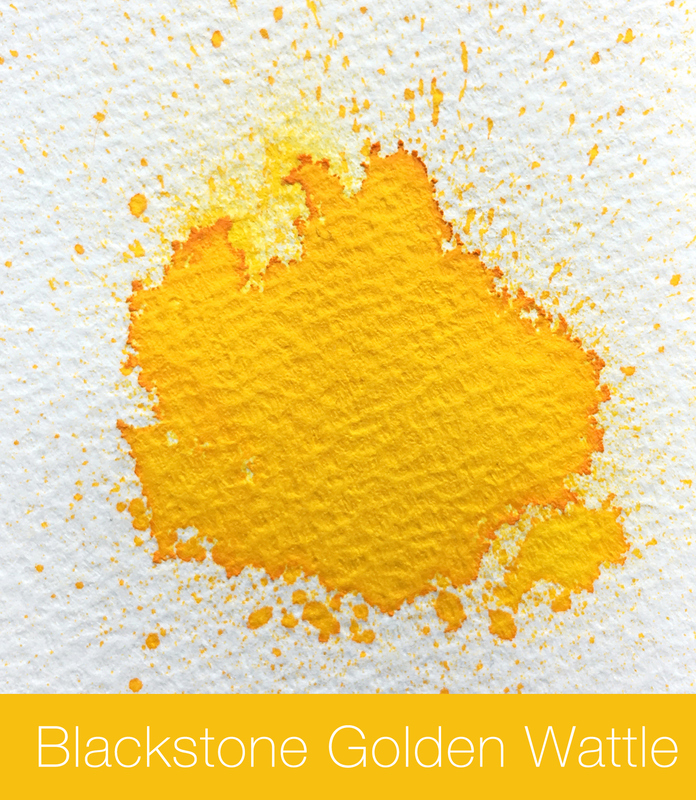 I have tried many yellow inks - R&K Helianthus is an example - and they all to do this. I really like yellow ink for highlighting and making side notes, but I haven't found one that doesn't do this. What kind of time frame are you talking about - a few days, a couple weeks, a month or two? I haven't noticed any crystals with Skrip Yellow in my Sheaffer school pen or with the MB Golden Yellow in any of the several pens I've tried it in. The Skrip is maybe going on two months now, with the MB ranging from a few days to 2-3 weeks. The crystals or "nib crud" begins usually within a week, possibly two. I generally clean my pens every 2-3 weeks anyway. 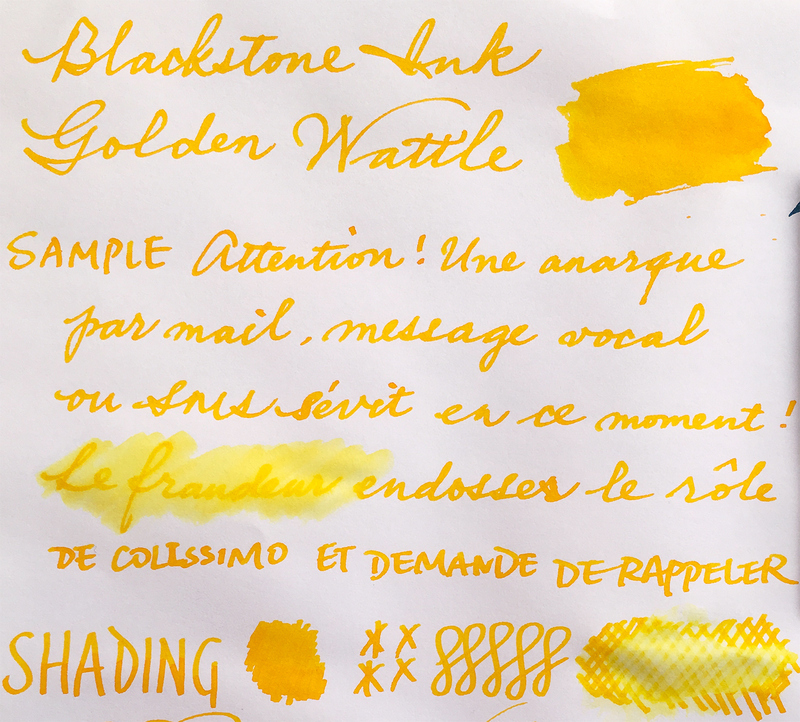 But the last time I used Helianthus, I noticed the "gunk" forming within a few days on my Lamy Studio (gold nib). Part of the issue could be that I live in a dry climate. 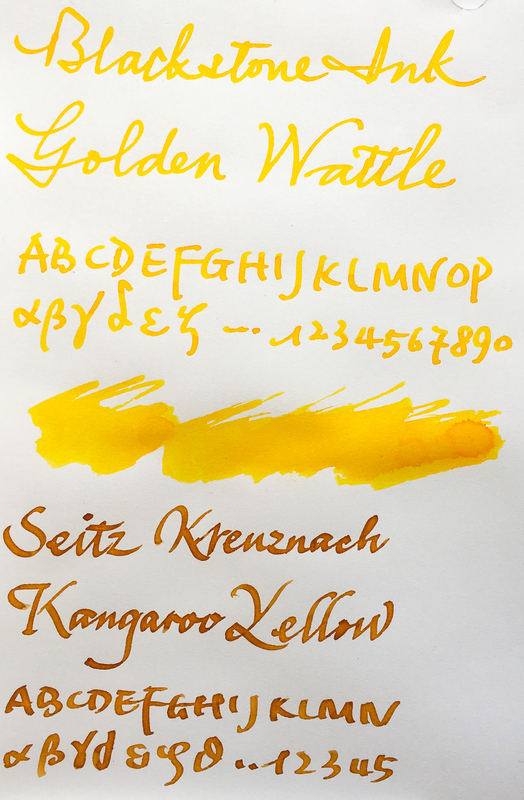 I like Montblanc inks, so I will keep the Golden Yellow in mind.